Since launching his bid for U.S. Senate last year, U.S. Rep. Beto O'Rourke has painted Republican incumbent Ted Cruz as a senator whose national ambitions have distracted him from his Texas duties. Cruz has questioned what accomplishments the congressman from El Paso has to his name. How exactly do the two men's records stack up? Their legislative achievements are easy to compare, given that both men entered Congress on the same day — Jan. 3, 2013. 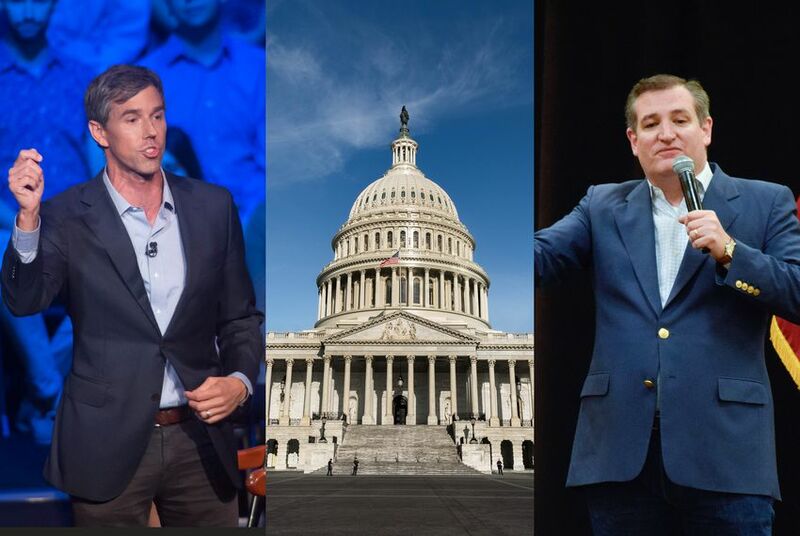 Since the pair entered Congress, Cruz has introduced 105 bills, compared to the 65 bills O'Rourke has introduced over the same period, according to Congress.gov. The vast majority of those bills died in various stages of the legislative process, which is often the case with most legislation. O'Rourke's other bill under Obama named a federal courthouse in El Paso. Provisions members get included in those bills don’t necessarily show up on their legislative record. A list on the Cruz campaign's website details 34 legislative accomplishments includes 23 provisions he got included into different NDAAs over his six years. And in several posts on O’Rourke’s Medium blog, he has mentioned multiple items he pushed for inclusion. But it’s not simple to verify either lawmaker's efforts in larger bills. The Texas Tribune asked both Cruz and O'Rourke to provide the three legislative accomplishments of which they are most proud. Tucked deep within the NDAA for the last fiscal year is an O'Rourke measure mandating that service members leaving the military receive a mental health examination, in addition to the already required exit physical exam. "Ensuring that our service members receive comprehensive mental healthcare evaluations prior to returning to civilian life is critically important because doing so increases the chances we get veterans the treatment they need," O'Rourke said in a blog post when the bill was added to the NDAA. Both Cruz and O'Rourke have had moments in Congress that elevated their profiles nationally. But when he wasn't railing against Obamacare, Cruz strayed off topic to keep the clock running on what is now the fourth-longest speech in U.S. Senate history. Most notoriously, the freshman senator read Dr. Seuss’ “Green Eggs and Ham” from the floor. On the south side of Capitol Hill, O’Rourke presided over his own marathon political gamesmanship three years later. Shortly after the Pulse nightclub shooting in Orlando in 2016, House Democrats staged a sit-in on the House floor to protest the Republicans' decision not to bring gun control legislation to a vote. When the Democrats staged their sit-in however, House Republicans adjourned, resulting in C-SPAN turning off its live cameras and leaving interested Americans without an option to watch the remainder of the sit-in. But O’Rourke quickly found a way around the situation by using his phone to broadcast the sit-in live over Facebook with a fellow congressman, according to the El Paso Times. O’Rourke’s broadcasts were picked up by C-SPAN and CNN while the Democrats held the House floor for over 24 hours. Facebook CEO Mark Zuckerberg later said that the Facebook Live streams related to the sit-in reached 3 million people. How much money have Ted Cruz and Beto O'Rourke raised outside Texas? We don't know for sure.